Wedding sparklers are a great addition for your reception celebration. If you’re looking for the best sparklers, Wedding Sparklers Outlet has different packages and sizes to choose from. We’ve listed some of the best wedding sparkler ideas for your reception. As you're cutting your cake and stuffing your partner's face, have the room be lit by sparklers! It will make for an intimate moment with everybody involved in the event! Most importantly, the photos will be amazing! This idea is not used as much which means your wedding will be unique! Sparklers allow your guests to become involved in your big day, and they look great too! Sparklers can serve as great decorations! Use them as centerpieces and light them for a sparkling masterpiece! It will make for a glorious, magical spectacle. 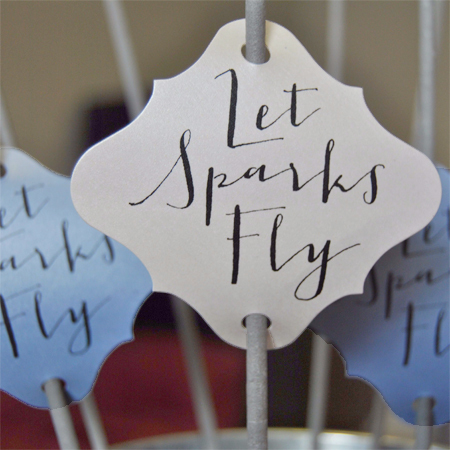 Sparklers also make for great decorations if you personalize them! Make tags and use your wedding hashtag on them. Your guests will be encouraged to take photos with their sparklers and share the memories of your special day! Give them as gifts to your guests! They can use them as you please, either at your ceremony or another time. Who doesn’t love lighting a sparkler at night and watching the sparks fly? If you’re looking for a little something for guests or wedding party members, wedding sparklers are the perfect gift. Visit our website to view all of our wedding sparkler options! We have everything you need to let sparks fly at your wedding reception!